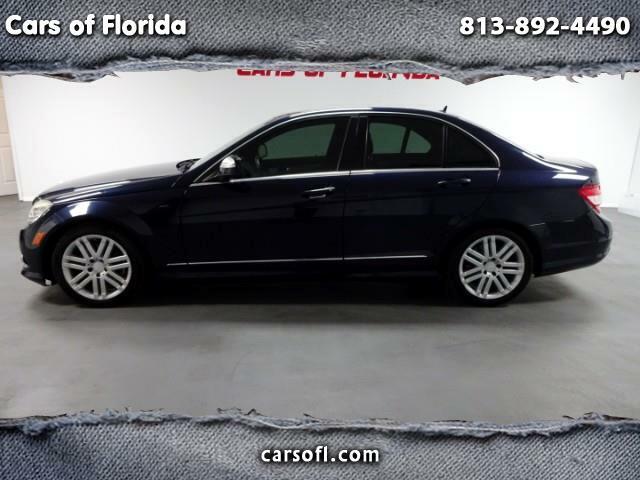 Cars of Florida is proud to announce this beautiful one owner Mercedes C300 with only 90k pampered highway miles! This vehicle is equipped with Keyless go, Sunroof, Full leather, Multimedia package and several other options! Gorgeous Midnight blue metallic. Bluetooth, HandsFree Voice Integration and much more. 228HP V6 Engine provides amazing acceleration and power when most desired. Fuel Economy is stellar with 18 City/24 Highway Miles Per Gallon. Features also include adaptive cruise control, Ventilated Seats and a very rare silver and black leather MB Tex combo. No imperfections on this one! Take this beauty home today! Fill out a credit application today for all forms of financing.